​Petroleum Landman School is considered by many as the the nation's leading field landman school. Founded by David Melton, the Petroleum Landman School has proudly served thousands of students over the years and has developed comprehensive courses and workshops in multiple states. ​The Petroleum Landman School, along with the Institute of Energy Management and the Institute of Energy Development, are subsidiaries of the Professional Landman Schools. The Petroleum Landman School provides information about basic courses aimed at students new to the land industry. The Institute of energy development offers advanced courses for land professionals. The Institute of Energy Development is ​responsible for creating and ​distributing textbooks and other materials. The Professional Landman School website hosts the software in which students will take online courses. With the most experienced oil, gas, land, and legal experts creating and instructing both in class and online courses, our mission is to provide the highest quality land related education in the industry. Whether a veteran or new to the field, our highly advanced in classroom and online learning platforms provide our students with the greatest opportunities for success, with little to no supervision, in the ever-growing professional landman field. ​Mr. 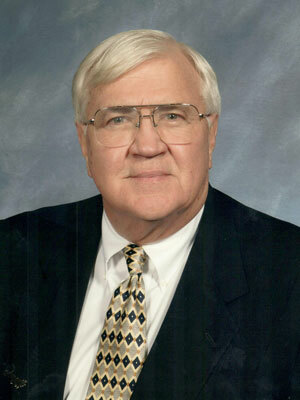 Melton, professional landman for over 38 years, has acquired vast experience in acquisitions and divestitures as well as executive management skills (VP of Land) for a small E&P company and as a GM of COO for two large land brokerage firms with multiple offices in Oklahoma, Texas, Montana, Colorado, Ohio, West Virginia and Pennsylvania. 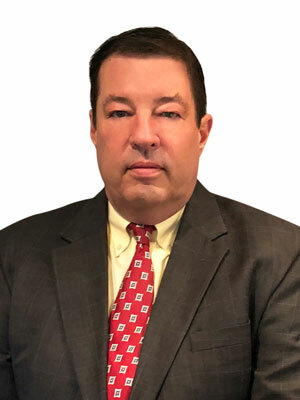 In addition, Mr. Melton has over 33 years of experience in oil and gas exploration and production including operations, land management and administration in all phases. He formed the Petroleum Landman School in 2005 and has had students from 34 states and two foreign countries. 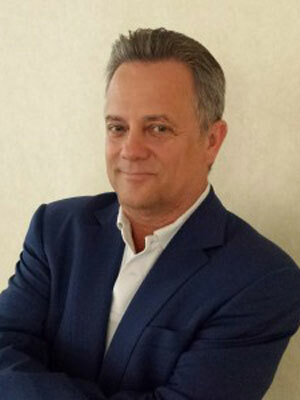 Mr. Melton is a recognized public speaker, course writer and presenter for the AAPL and a published author for the AAPL, IRWA and Oilprice.com. Mr. Melton is the founder of the Professional Landman Schools, parent company of the Institute of Energy Management and the Institute of Energy Development. The Professional Landman School, LLC provides the most extensive catalog (36 courses) of professional academic and ‘real world’ vocational courses available today for the petroleum industry, legal community and oil and gas accounting community today and include subjects such as: advanced petroleum land management, due diligence, title curative, mineral title and leasing, drilling and division order title opinions, structuring the deal, project financing, successful negotiations, managing land brokers and data, maintaining land budges, oil and gas legal issues and contracts and joint operating agreements. The Professional Landman School is the first of its kind and each course is created, individually reviewed and approved by our elite, industry recognized eleven-member advisory board committee. This committee ensures the best quality course curriculum available anywhere for your company’s training needs and excellent student development. All of our courses are taught by recognized seasoned industry professionals, many who are known for their publications and teaching ability. The courses are presented by live instruction, ‘self-paced’ online formats, live webinars and include homework assignments, actual vocational workshops and creative testing methods to insure the student’s retention. All of our courses have an extensive testing program which provides the company with employee evaluation by way of showing the student’s strengths and weaknesses. 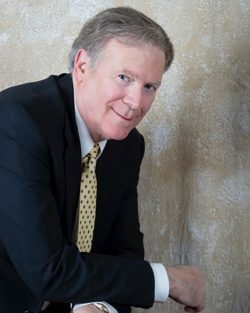 Mr. Cummings, Oil and Gas attorney since 1975, is well known for his expertise in due diligence and oil and gas contract law. Mr. Cummings is a member of the State Bar of Texas Pattern Jury Charge Oil and Gas Committee; Member of the Texas Board of Legal Specialization Oil, Gas and Mineral Law Exam Commission; Chairman of the AAPL for the annual meeting workshop; Co-Chairman of the Rocky Mineral Law Foundation Special Institute, Development Issues and Conflicts in modern Oil and Gas plays. Accomplished course writer, presenter and published author. Mr. Cummings has written articles for the AAPL regarding ‘Due Diligence’, which has been adopted by many as the ‘gold standard’ for this skill set. With his vast number of articles and unique perspectives regarding Due Diligence, Mr. Cummings is a ‘real catch’ for the school. ​Dr. 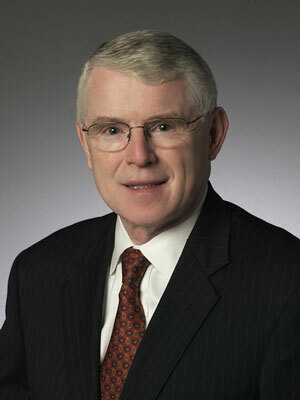 Fitzgerald, Ph.D., Ed.D., J.D. specializes in various areas of oil and gas law which started in the early 1980’s. At Oklahoma Baptist University, he developed and teaches all parts of the Energy Land Management Certificate Program, teaches in the MBA program in Energy Management. Concurrently, he is a Distinguished Visiting Industry Expert in Energy Management and Petroleum Land Practices in the Daniels College of Business at the University of Denver. In his early years, he was a ghost writer for Lewis Mossberg. Being that Mr. Fitzgerald is more than an experienced oil and gas attorney, published author for the AAPL, as well as an accomplished course writer and presenter for the AAPL, he brings a very unique perspective to the school in that he has written over 100 courses and has actually taught land courses for the school. ​Mr. Sams, Professional Landman and oil and gas operator for over 39 years, started his with Amoco Production Company in 1977. Mr. Sams over the past three decades has acquired vast experience in exploration and production management in most major petroliferous basins in the lower United States and the Rocky Mountain region such as the Permian Basin, South Texas, Texas Gulf Coast, Louisiana, as well as California. Mr. Sams has over 30 years’ experience in project finance along with acquisitions and divestitures. While at Amoco, Mr. Sams was on the committee that created the AAPL 1982 Joint Operating Agreement. Besides being a friend and colleague of the founder of the Professional Landman Schools, Mr. Sams brings a rare perspective to the school with vast experience in the applications of the AAPL Joint Operating Agreement and operational issues along with many decades in acquisitions and divestitures and project finance. ​Ms. 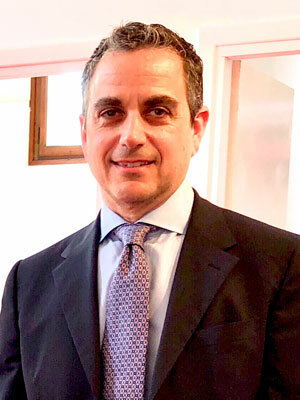 Eyerman, attorney since 1985, has practiced corporate and real estate law until leaving private practice to focus on right-of-way acquisition and development project management in 2000. 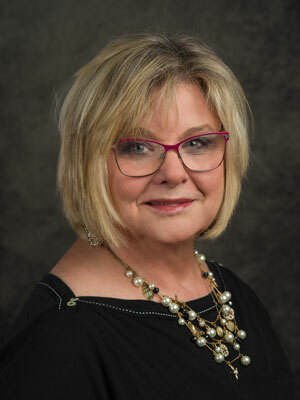 Ms. Eyerman is the former Executive VP/ President Elect of IRWA Chapter 55, Pennsylvania (2016 – 2017) and is a current member of the Tennessee and Kentucky IRWA Chapters. She has extensive experience managing capital projects for companies to include Regency Energy Partners, General Dynamics, Columbia Gas, Atmos Energy, Cricket Wireless, AT&T and Verizon in major markets across the United States. Ms. Eyerman edited, revised and updated the real estate sections of Book T-1 of the Revised AGA Pipeline Planning Economics Manual (2016) and contributed to the development of the Telecommunication ordinance for the planning and zoning department of the city of Spokane, WA. Ms. Eyerman is considered an invaluable member of the Advisory Board due to her vast legal and senior project management for all of the school’s right of way courses and its relationship with the education committee for the IRWA. 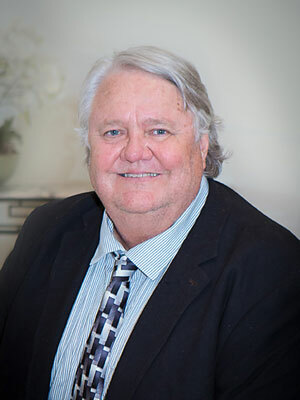 Mr. Stephenson has been a business and commercial transaction attorney since 1975 and his practice is specializes in oil and gas contract law, oil and gas securities law with emphasis on tax planning strategies. 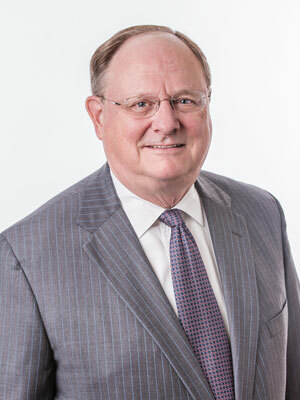 Mr. Stephenson serves on a number of corporation board of directors, including Calyx Energy III, LLC, an Oklahoma based oil and gas producer, where he serves as a member of the Board of Managers, and Vice President, Chief Financial Officer and General Counsel. Mr. Stephenson is a welcome member to the PLS Advisory Board from his ability to create various ‘structuring the deal’ type of courses as well as oil and gas contract law course material. ​Expert in right of way issues, has the certification of Senior Right of Way Agent through the IRWA with over 38 years of experience. Since 1980, Mr. Valden worked as a Right of Way Consultant and Project manager for some of the largest energy companies in the world such as Koch Industries, Gulf States Utilities, Southern Natural Gas, Devon Energy and EOG Resources. Mr. Valden is an accomplished course writer and presenter and is the founder of the America Right of Way Acquisitions and & Survey, Inc. (ARWA). Mr. Valden is a valued Advisory Board member for his vast teaching skills in several different types of land and right of way courses. ​Attorney since 1970, who is a recognized expert in oil and gas accounting issues such as division orders, Title Opinions, Title Curative and oil and gas law practices. Mr. Love is an accomplished published author and course writer and presenter for the AAPL. In addition to being a Director of Division Orders for TOTAL Petroleum for over 15 years, Mr. Love has been a senior landman for companies such as Cities Service Oil Company, Union Texas Petroleum, Red Willow Production Company and Lexus Natural Resources. Mr. Love is a great addition to the school’s ability to provide ‘above average’ course material and training. Mr. Meyer is an attorney since 1997 and has extensive relationships and experience with the largest financial institutions in the world. Mr. Meyer generated more than $13 billion in investment capital globally across multiple sectors, from buyouts to energy and structured debt and venture capital. Mr. Meyer is another extremely valued Advisory Board Member in that he brings a true unique exposure to Wall Street, investment banking, banking in general and institutional investors, which all well accommodates the school’s training courses in project investing and finance.